Benefit Cosmetics Gimme Brow is a tinted eyebrow gel used to create fuller brows. This product came in a mascara set from my local drugstore. I bought the shade 02. My eyebrows are a lighter brown, so I wanted to test whether the product darkened my brows. The gel defined and added colour to my eyebrows, and it is a perfect addition to my eye makeup! Our cult-favorite gimme brow tinted eyebrow gel contains tiny microfibers that adhere to skin & hairs, creating natural-looking fullness and definition. The custom, tiny tapered brush blends easily while the precision tip shapes hairs into place. The product comes in a tube with a brush attachment, like a mascara wand. My product is sample-sized, so the tube is shorter than normal. Pink lettering accentuates the chromatic colour of the tube. A tiny, tapered brush allows the product to dispense as needed. The brush style lets you build the colour as desired. It is ideal for thick and thin coverage. A quick note about the brush: As the wand is tiny, it is best to work with a light hand to ensure precision. Benefit Cosmetics Gimme Brow Volumizing Fiber Gel retails for $30 at Sephora. The product is also available at most drugstores! 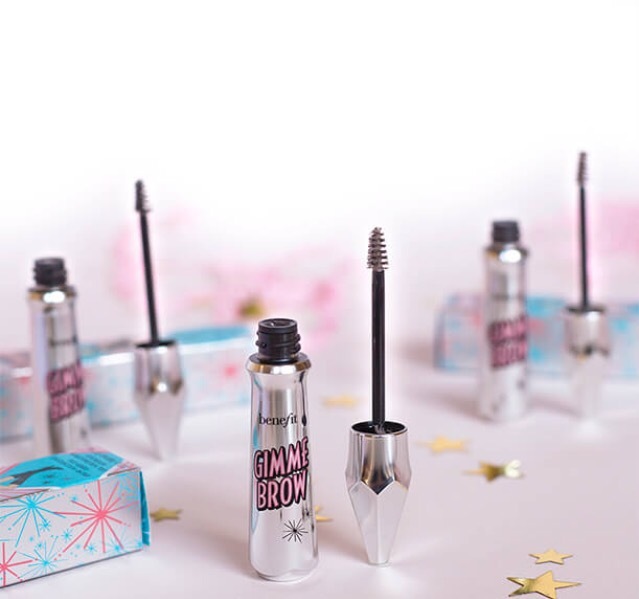 Have you tried Benefit cosmetics Gimme Brow? How do you find the product?